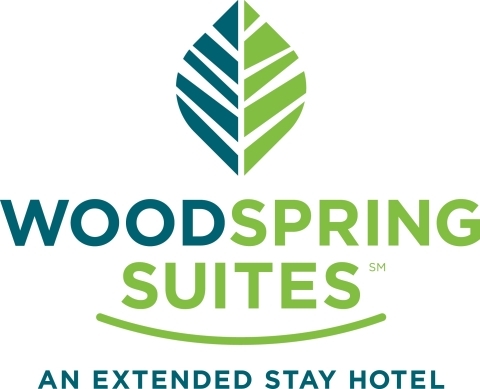 WICHITA, Kan.--(BUSINESS WIRE)--WoodSpring Suites, the nation’s fastest growing all-new construction extended stay hotel brand, celebrated the opening of its first namesake property earlier today. The celebration at the brand new WoodSpring Suites Oklahoma City West Airport included a grand opening party at the hotel along with a ceremonial ribbon cutting. Guests attending the event enjoyed local fare, took tours of the hotel and mingled with local officials and many WoodSpring Suites corporate employees who traveled to Oklahoma City for the occasion. The 124-room hotel features many guest amenities such as in-room kitchens, free high-speed internet, guest laundry, and the 99-point cleaning process that the WoodSpring Suites brand provides to every guest. Located at 4300 W. I-40 Service Road, the new hotel is situated near a large hospitality corridor with many major businesses including, the FAA Academy, Will Rogers Airport, and a large outlet shopping mall. The hotel also looks to capitalize on the frequent traveling rodeo shows that visit the local area and often result in city-wide sellouts. In addition to new hotels, the company has announced plans to transition its existing portfolio of hotels to the WoodSpring Suites brand. “We are thrilled to continue the implementation of the new brand across the country,” said Rogg, which will happen between now and the end of the first quarter of 2016. 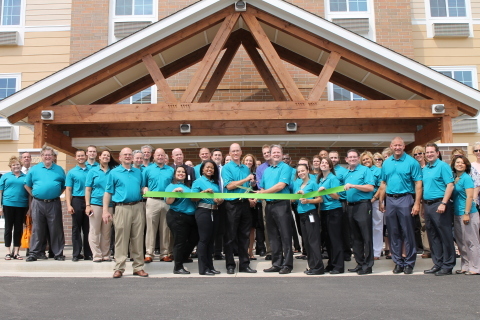 WoodSpring Suites, formerly Value Place, is the nation’s fastest growing value extended stay hotel brand with 197 hotels located in 32 states. The company owns 85 of the properties and provides management services for both company-owned and franchised locations. WoodSpring Suites, as well as its enhanced brand extension, WoodSpring Suites Signature, are hotels for good people with practical needs, down-to-earth attitudes and a comfortable style, and who appreciate the value of life’s necessities – done really well. For more information, visit www.WoodSpring.com. WoodSpring Suites Celebrates the Grand Opening of Their First Namesake Hotel in Oklahoma City.